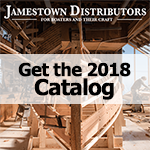 For many years builders of wooden boats have used a combination of two-part epoxy resins and marine spar varnishes to make "furniture quality" clear-finished watercraft. That these boats look good after several years of outdoor exposure is testament to the synergistic effect of using these products together. The same techniques can be used to finish many outdoor wood projects that can be left outdoors uncovered for months at a time without fear of the finish failing, the wood warping, splitting, or discoloring, and joints coming apart. Common clear wood finishes are usually separated into two types: film-forming and penetrating. They protect and bring out the beauty of fine woods. Outdoor versions of these finishes will contain ultraviolet (UV) light inhibitors which enable them to stand up well to the rigors of sunshine. Sadly, these finishes are generally poor at excluding both liquid and vapor moisture from entering the wood. It is moisture vapor cycling that usually causes these finishes to fail. System Three® General Purpose resin and System Three Clear Coat® resin coatings are excellent barriers to both liquid and vapor moisture. They are easy to apply and contain no hazardous solvents. But, like almost all epoxy resin products, they, like the wood itself, require protection from sunlight. Exposure to the sun will dull, darken, and eventually degrade an epoxy coating. Overcoat the epoxy with System Three Spar Urethane Varnish%reg It protects both the epoxy resin and the wood underneath from the harmful effects of the sun. Together, they are the perfect finish system for retaining the natural look and beauty of wood. Spar Urethane Varnish® is a high-gloss, highsolids, VOC compliant finish designed for exterior wood surfaces such as furniture, doors or any surface where a clear gloss is desired. It is easy to apply with a brush, and dries to a durable, glossy, mar-resistant finish. It is the combination of the two kinds of products, epoxy resin and urethane varnish, which will give your outdoor wood projects the ability to withstand the elements and retain their "like new" appearance. Every piece of wood used must be fully encapsulated with at least two coats of liquid epoxy. Coating only one side of the wood will result in warping or cupping. Saturating the end grain is especially important. Wood must be coated with epoxy resin and sanded before it is assembled, to ensure no moisture is able to get to the bare wood. All glue joints must be made with epoxy resin, which does not shrink on curing. Use disposable tools whenever possible, as cured epoxy resin is almost impossible to remove or rinse out with thinner. Dry Fitting: Cut and fit all the pieces of your project together. Do all milling, routing, and other woodworking before epoxy coating and assembly. Round all corners and edges. Joints should be a little sloppy because epoxy adhesives work best when filling small gaps. Plan for final assembly by seeing how "subassemblies" can be made and then assembled into the finished part. Epoxy Coating: Measure and mix either System Three General Purpose Resin® or Clear Coat Epoxy® according to the instructions on the container. The epoxy may be applied with a brush or roller. Spraying is not recommended without proper application and personal protection equipment. Use the resin as mixed. Do not thin. Wear gloves and proper clothing to avoid skin contact with the resin. Pouring the mixed epoxy into a shallow pan to increase the surface area will increase working time. The end grain will absorb a great deal more epoxy so paint it on every few minutes as long as the piece continues to absorb it. Apply at least two coats. Allow the resin to cure between coats. The curing time will vary depending on the hardener chosen and the temperature. It is not necessary to sand between if coats are applied within about three days of each other. Do not apply epoxy in direct sunlight or when the temperature is rapidly rising. Expanding air pockets in the wood can cause bubbles in the coating. Sanding: Allow the unassembled wood parts to cure for several days before sanding. Wipe each piece with a damp sponge prior to sanding. Begin sanding with 80 or 100 grit paper. Finish with 150 or 220 paper. Wet sanding on thoroughly coated pieces is acceptable as the wood is now waterproof. Assembly: Put the parts together once more without glue to make sure that the joints still fit. Sand to a fit if necessary. Use System Three T-88® structural adhesive to glue the parts. Apply adhesive to both bonding surfaces with the mixed epoxy and then apply an excess to the concave or female surface. Press the pieces together and wipe up any excess glue. Keep glued parts in place during cure. Avoid excess clamping pressure. Any device that holds the parts together while the glue cures is acceptable. Allow twenty-four to thirty-six hours before unclamping and at least a week of curing before heavy stress. Apply varnish: Sand assembled project with 150 or 220-grit sanpaper to remove any glue drips or runs. Because not all varnishes dry properly on epoxy resins, use System Three Spar Urethane Varnish. It was formulated specifically to cure properly over System Three epoxy resin products. Apply the finish directly from the container; no thinning is necessary. Use a natural bristle or foam brush. Allow to dry between coats. Because the epoxy coating is as thick as ten coats of dry varnish, only one or two coats will usually be required to build a deep, rich finish. Maintenance: If the varnish becomes dull after several years of exposure it can easily be sanded to remove any loose or chalky material, and recoated. Reapplying varnish before it weathers off will allow you to avoid reapplying the epoxy coating. With the System Three resin and varnish combination protecting your clear-finished project from the elements, it will remain bright and beautiful for years to come. A spar varnish historically was a type of varnish used to coat the spars, or masts, of wooden sailing ships. The marine environment is viewed as the one that is the toughest on coatings, so a marine spar varnish has to be tough. Traditionally spar varnishes were made from a hard resin cooked into a vegetable oil. The most successful combination was phenolic resin cooked into chinawood, or tung oil. Linseed oil is sometimes substituted for tung oil because of its superior drying properties. These varnishes, while tough and flexible for a while, weather poorly in the sun, and become dark and brittle, requiring frequent maintenance. Over time, coating manufacturers updated these products in two significant ways. One, to keep the toughness and flexibility characteristic of a traditional spar varnish, we use polyurethane polymers in place of the tung oil. And two, we add compounds which make the varnish, and the wood beneath it, more resistant to degradation from the sun. These are called UVabsorbers. System Three uses the best technology under the sun to make our Spar Urethane Varnish wear well outdoors.